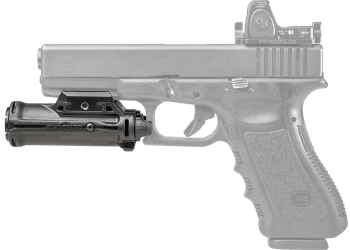 The XH15 is designed as a dedicated weapon light for the MASTERFIRE™ rapid deploy holster (RDH). 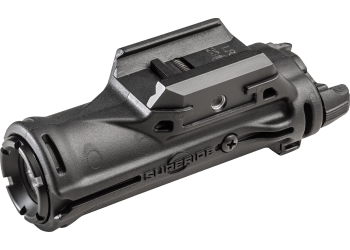 It is specifically engineered to activate automatically when the paddle switch is swept past an emedded actuator that is in the on position within the MASTERFIRE™ RDH. 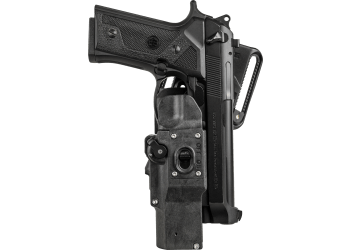 The ambidextrous, dedicated constant-on rocker switches also provide local control of the XH15 when out of the holster. 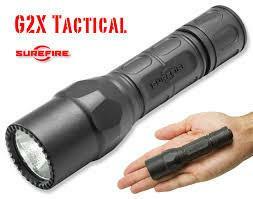 A virtually indestructible, digitally regulated LED delivers 350 lumens of blinding light. 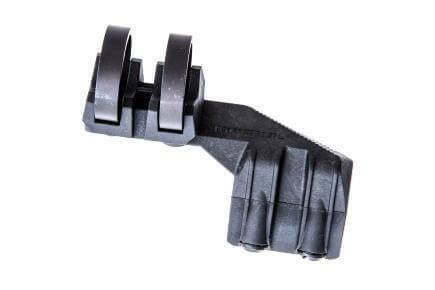 The fiber-reinforced polymer body is rugged and lightweight. 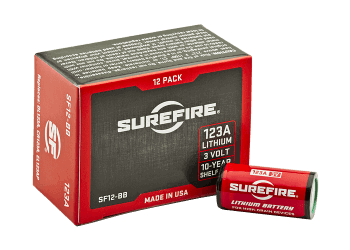 The XH15 produces tactical light output for 1.25 hours on a single SureFire lithium battery. *Runtime until output drops below 50 lumens. All performance claims tested to ANSI/NEMA FL1-2009 Standard.